Chris started participating in indoor cycling classes around 10 years ago. On any given day, you could find Chris on a bike, having fun and getting in a great workout. She also enjoys to ride outside, having completed several century rides and charity rides. In 2010, she began competing in triathlons, and in 2013 Chris finished first in her age group and qualified for USA Triathlon Age Group Nationals. Chris joined Gazella in 2011 as a Spinning instructor, and quite naturally assumed the position at the front of the room. She brings her upbeat energy to her classes. Chris is also certified in TRX and is a Certified Personal Trainer through ACSM. On what drives her, Chris recognizes that while it can be a constant challenge to stay motivated and focused on your goals, seeing your body respond to the exercise and hard work makes it all worth it. Outside of Gazella, Chris is a registered nurse, specializing in cardiac care. Chris has also kept busy raising four children and observing and participating in their various sports. 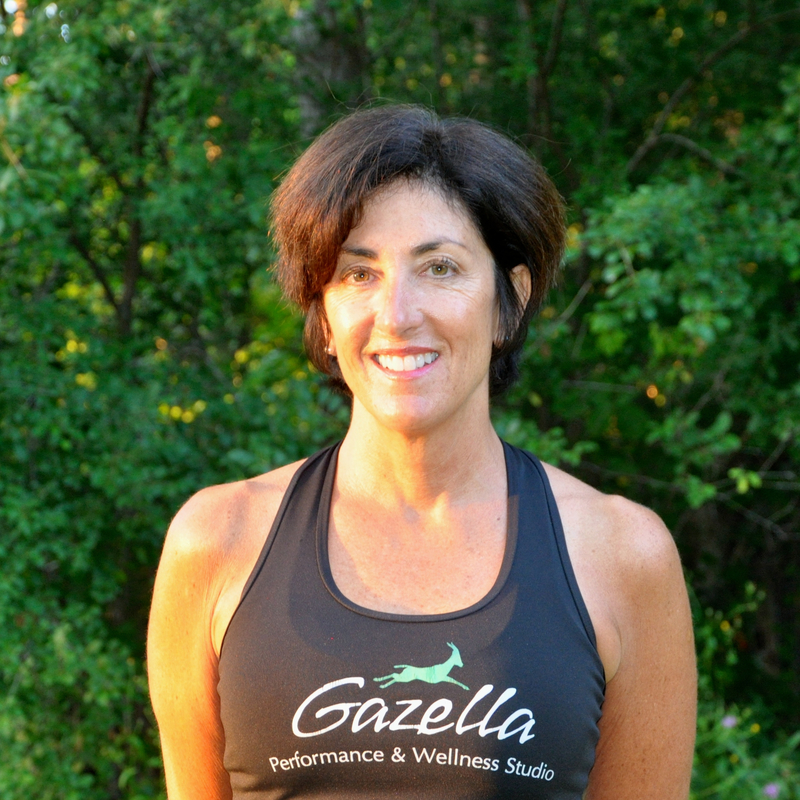 Chris teaches Spinning indoor cycling, TRX and is a cycling coach for Team Gazella. She also offers personal training.